Lately I have had a real love of the flavor of thyme. Just a dash in a dish brings a depth of flavor to it that I really have been enjoying lately. In the past week, I have added thyme to my chicken noodle soup, chunky potato soup, and just recently to my cheesy baked corn. I added pepper to my corn, however I would leave it out next time, so I have omitted it from my recipe. Does anyone have any other recipes that feature thyme? Please let me know! Preheat oven 400 degrees Fahrenheit. 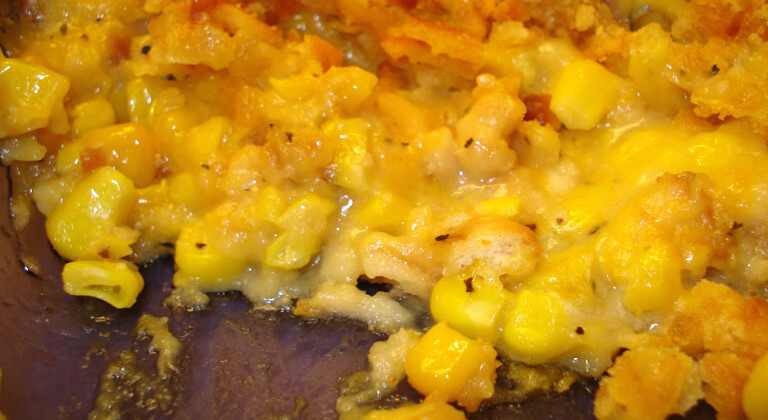 Combine both cans of corn , milk, thyme, 1/2 c cheese, 1/2 sleeve of crushed crackers in a bowl. Put into a greased 8x8 pan. Sprinkle with remaining cheese and crackers. Dot with butter. Bake for 25-30 minutes or until crackers are browned on top.